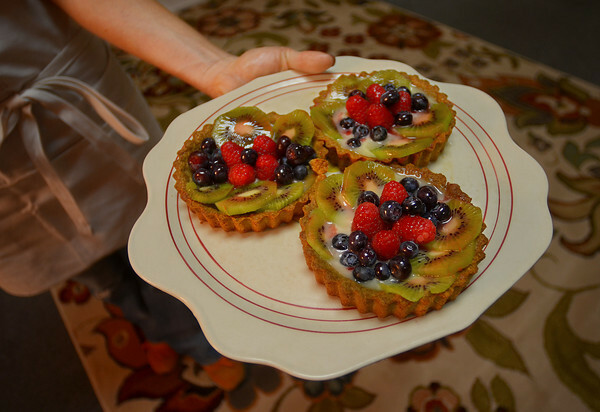 Melissa Hays holds a plate of fruit tarts, made with with fresh blueberries, raspberries and kiwis, at the Sticky Fingers bakeshop in downtown Gloucester. The new bakery specializes in Italian- and French-influenced pasteries and is located in Brown's Mall, at the intersection of Pleasant and Main streets. Hours are 9 a.m. to 6 p.m., Tuesday through Saturday.